The discovery of three dead tigers in Laos underscores the urgent need for the country’s Government to keep its word and shut down tiger farming operations. Laos announced in September 2016 that it was committed to closing the farms and working with experts to do so – but 16 months later, there has been no progress and tigers have been disappearing. The dead tigers were found last week near the Nam Theun 2 dam in Khammouane province and while officials believe they may either have come from the forest or from a tiger farm in the region, given that tigers are functionally extinct in Laos, EIA believes it’s highly likely they came from a farm. Speaking anonymously to Radio Free Asia, one wildlife official speculated that traffickers may have been transporting the tigers to border crossings with Vietnam when they died. Wild tigers are functionally extinct in Laos, although it is believed as many as 380 animals tiger are held in breeding facilities. 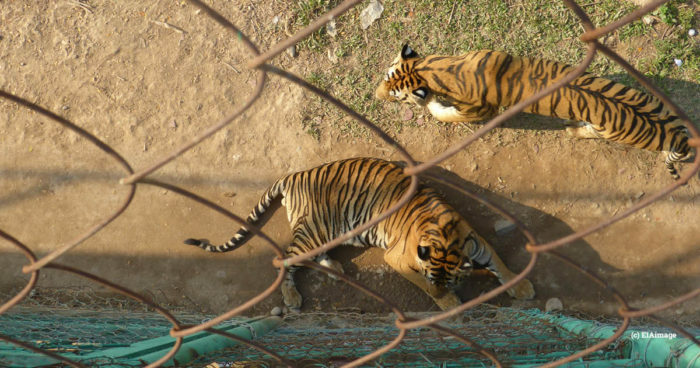 Last November’s EIA report Cultivating Demand identified four captive tiger facilities of particular concern in Laos. The Government of Laos has been under suspensions of trade in particular species for several years but has made little progress in tackling the corruption and governance issues that have left the country a wildlife criminal’s paradise. At November’s meeting of the Standing Committee of the Convention on International Trade in Endangered Species (CITES), the USA called for Laos to face full trade suspensions while the EU favoured a warning and a time-bound process for specific remedial actions to end trade in parts and products of tigers (including farmed tigers) and other wildlife. Laos’ representatives agreed to a schedule that requires them to submit a time-bound action plan with indicators to implement the recommendations. Debbie Banks, EIA Tiger Campaign Leader, said: “The Laos Government has submitted an action plan and is due to report on a tiger farm audit by the end of June. We will be urging it to include all such facilities in the country, not just the two referenced in the CITES Mission report. “The continued operation of tiger farms in Asia poses a very clear threat to the prospects of wild tigers everywhere, with live animals, skins, teeth, claws, bones and products such as tiger bone wine finding their way into the transnational black market and stimulating further consumer demand. “From its headline-grabbing promise made at CITES in South Africa, Laos has had more than a year to meaningfully address this issue and bring together the experts who can assist it with an audit and a phase-out plan. 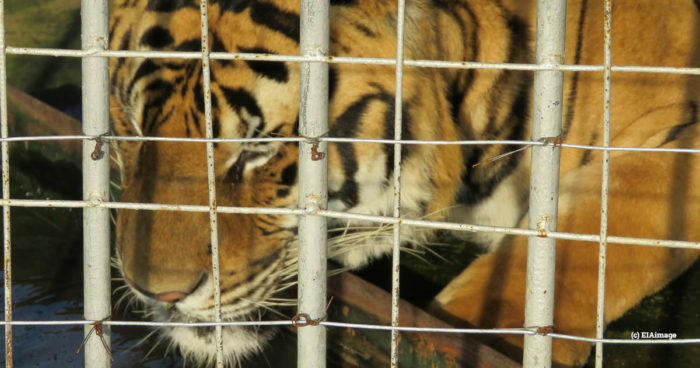 In that time, tiger farms across the country have been operating with impunity, with no monitoring, inspection or regulation.